Online marketplaces continue to gain more and more space on the worldwide net – according to studies, overall sales on online marketplaces in 2016 surpassed $1 trillion, and this number will only grow over the years. It’s no wonder people look at the success of well-known platforms, such as Airbnb, Etsy, eBay and Amazon, that have already proven the fact that the marketplace model can be viable. Moreover, it can be prosperous, scalable, and attractive both for sellers and buyers – which is why people strive to learn more about the process of building a marketplace with Magento. If you are also curious about this, you have come to the right place! As soon as you’ve come up with an idea for a marketplace creation, the next thing to do is, of course, to build it. The good news is the fact that marketplace creation now is easier than ever. No matter which way you choose: development via usage of an existing platform, or if you prefer more of a DIY method – all of your questions can be answered. And if you are new to the industry, we are ready to provide you with appropriate tips and guidance that will help you go in the right direction. The very first thing for you to do is define the basement/foundation of your future marketplace. This choice is critical since the basement virtually defines the vector of your business: any of your further integrations must be able to accomodate necessary modules, extensions, themes, etc. Today’s world of e-commerce arrives with the freedom to choose from an incredibly wide variety of CMSs and platforms: from the narrow-niched to the versatile. We think while you’re making these decisions, you may find yourself feeling like a kid in a candy shop. Being engaged with e-commerce development for more than 5 years, we have worked on the creation of various marketplaces and delivered many solutions. We would like to draw your attention to the Magento platform. Magento has been time-tested and is one of the most popular solutions worldwide that continues to gain popularity due to its ease of use and the possibility of broad customization. All of which, we have come to know this first-hand. 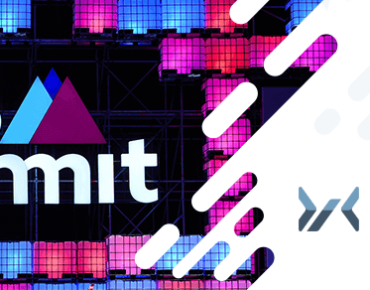 With its regular upgrades and plentiful third-party tools, the platform demonstrates not just stability and consistency, but persistent growth. And further support in favor of Magento – because of its extreme popularity, numerous developers have already covered the topic of how to create a marketplace in Magento. Therefore, you can always count on qualified advice and the help from the wide audience of Magento-users. The speed is a critical characteristic of any internet resource site, and it is especially vital for online stores and marketplaces. Any delay in processing user requests can slow down the e-commerce website’s potential to convert site visitors into customers. 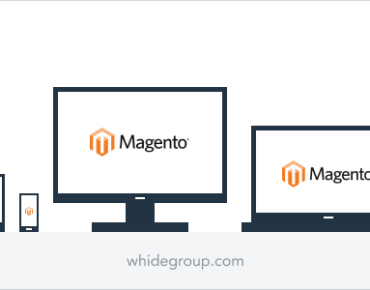 The Magento platform possesses high-end caching techniques such as Varnish, as well as other database optimization techniques which ensure error-free and timely results. Magento Open Source supports an incredibly wide range of payment solutions and gateways that offer merchant services in all parts of the world. Unlike some payment solutions that transfer control to complete the transaction on another site, a payment gateway makes it possible for you to accept credit card payments directly at your store. In the event that you are not satisfied with the list of payment gateways provided, you still have the option to create integration with other payment providers, using a Magento payment provider gateway. Presently, Magento has the largest selection of extensions. On Magento Marketplace you can easily find virtually any extension to expand the functionality of your marketplace. All extensions are thoroughly checked before being loaded to the marketplace. Extensions are sorted by categories such as marketing, customer support, accounting, payments, analytics, sales, website optimization and shipping thus making it hassle-free to find what you’re looking for. It’s all about integrations now, and we have a good news for you – Magento is a partner with hundreds software providers. Their cooperation is aimed to make integrations as easy as possible. There is a wide array of categories: starting with CRM, email, and migration tools, as well as social media marketing tools, back office, and shipping. The most popular options are SalesForce, Zendesk, MailChimp, PayPal, and Campaign Monitors. Currently Magento’s army has more than 150,000 developers, that work daily to continually improve the platform. And, according to CreativeMinds, Magento is used by more than 250,000 vendors, what means you’ll never be alone if you run into any issues with the platform. Further, Magento has a dedicated Q&A website, where sellers can ask for help. The community is extremely active, and you can rest assured that your every single question will receive an answer. So, after we’ve dealt with learning the most widespread reasons to create your own online marketplace, perhaps your next question is: how to build a Magento marketplace? For the development, convenient ready extensions are mainly used. Intended to ease implementation, they can however still be tricky when it comes to integration, so it would be better to get professional assistance. Webkul Marketplace Multi Vendor is able to convert your already existing online store into one able to support multiple sellers and provide a separate seller portal on your website front-end. A functionality set allows customers to rate and review different sellers. Sellers, in turn, can customize their profile with a shop banner and logo, add unlimited products, and change the shop URL. In addition to the great features for sellers listed above, this module allows the admin to set different commission prices for different sellers. The admin also has a variety of back-end management options. Available for both versions of Magento, Medma Marketplace offers one more option of how to set up a Magento marketplace: this extension creates a separate vendor area. In the panel, vendors can add all Magento product types. With this extension, each vendor has a profile page that shows the highest selling products, product collections, and an avatar. This extension also has a built-in rating and review system. Vendors have the ability to upload products in bulk and export all products in a comma-separated value (CSV) file. They can even set up a free shipping option! A separate admin dashboard allows you to manage and review seller activity and to approve vendors and their products both manually and automatically. The admin can also control the layout of product pages and verify vendors. This extension contains such features as engaging UI, a set of sales-pushing features, and complete admin control. Being specially designed as a self-launchable Magento multi-vendor extension, Apphitect has seller and admin dashboards, multiple product types, custom themes, and an order management system. To customize the user experience, the admin may use flexible commissions, multi-lingual compatibility, and multiple-currency support. Apphitect can also be easily interface with most 3rd party integrations. This theme is stacked with various features necessary to build a complete online marketplace, where sellers can list products to be sold to a global customer base. Clear and separate commission rates for each seller are included in MageArray Multi Vendor Marketplace. In addition to the above mentioned, MageArray offers such features as admin moderation for new customers and vendors. Every customer can act as a seller, and products can be created by vendors from the front-end. In addition to the solutions listed above, you can also use Multiple Vendor Marketplace Extension, Magento 2 Marketplace Integrator, and uNirgi Marketplace Suite. Appreciated by developers all over the world, they help ease the way to the marketplace launch. As you can see, the Magento marketplace development process is quite smooth – enough to let you just concentrate on your business management. When it comes to Magento Marketplace design – there are two ways to go about it: you can ask for help from a professional designer or even a team, or you can look into the rich variety of ready-made responsive themes, narrowly designed for use with the Magento e-commerce platform. Both are good options to make an marketplace in Magento. However, both also have their differences in usage. Custom design development is good if you want only unique design for your website. It is possible to create virtually any desired set of design features, and impart a deeply exclusive appearance. However, it requires qualified designer assistance, and therefore, this option is costlier. Mag2 Marketplace – Mag2 provides 3 unique modern home pages (similar to eBay, Lazada and Amazon designs), and more than 20 pages that can be included on your site. Products can be represented in both grid and list view styles. This theme is also easily customized, and responsive – fitted to look good on any screen resolution. You can change images, choose to showcase “hot deal” products, or promote new and best seller product sections. Shiny – Responsive Magento 2 Marketplace Theme – This is a multipurpose responsive theme that offers such features as Ajax Layered Navigation, Mega Menu, and Image Slider. Ajax Cart helps buyers to purchase more quickly and efficiently. This theme also boasts the availability of multi-currency and multi-language use, and has brands slider and product hover effects. Its most prominent features are social media login and recently-viewed products. Torano – Supermarket Marketplace Magento 2 Theme – Torano is considered to be the perfect choice to sell anything from electronics, to organics, shoes, garden tools, and everything else you might imagine. With its sticky Add to Cart that encourages customers to take a desired action in any moment at any position of the page, it increases the likelihood that the visitor will add an item to the cart. As you can see, marketplace development is a complicated process that involves several specialists. Undoubtedly, you’ll want a strong team to develop your own marketplace. To learn more about how a professional can help, refer to the section below. How Much Does a Magento Marketplace Website Cost? Price issue is critical. So, how much does it cost to develop a Magento marketplace? We recommend that you review the whole development process phase by phase, and then take stock. Size of the development company – rates depend strongly on the size of the team intended to provide you with web development. Generally speaking, all existing companies can be subdivided into three groups – mediocre web development teams that take virtually any kind of job; boutique digital agencies – companies with specific specialization and professional references, and big-name digital consultants – eminent companies with a wide range of services, that are however, often expensive due to the “brand,” but don’t necessarily provide top-quality service. Geographical location – hourly rates also depend on the location of the development team or specialist. For example, developers from Canada, the USA, and Western Europe charge on average $50-150 per hour. Specialists based in Eastern Europe and Asia, respectively, have rates that range from $25-40 and $18-40. It would be senseless to argue the fact that online shops conquer the world. There are various services available to choose from for any budget and company of any scale, whether they are small companies or an enterprise. Ready templates and modules, consulting services of many other things stand ready to assist you. We’ve considered the question of how to create a marketplace using Magento. Creating an online marketplace is an opportunity to enhance and, in some cases dramatically change, an existing business model – for the better. Whether you’ve started to create your own marketplace, or are trying to understand the value of doing so, consider the marketplace as a way to create sustainable & profitable growth, differentiate your business, improve your customer experience, and accelerate your e-commerce to new heights.